15 Most Epic Places To Run [Part 1] | JustRunLah! What’s better than running? – a run-cation! 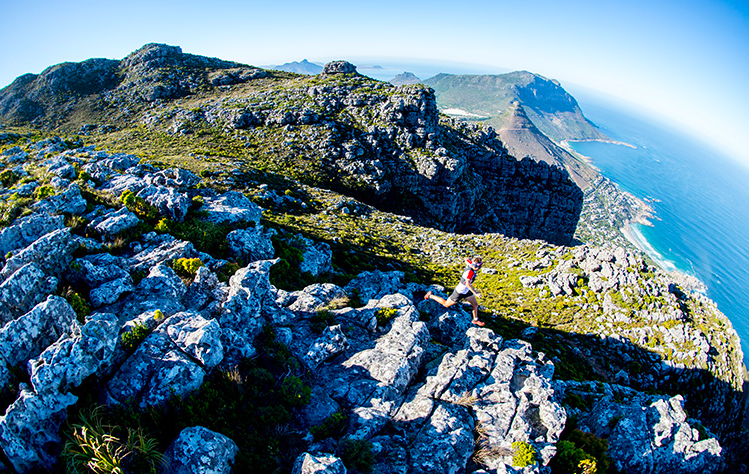 Here are 15 of the coolest most epic routes to run that will give you great views and an experience of a lifetime. Table mountain is probably on everyone’s bucket list, especially if you are visiting Cape Town. The city and coastal views Table Mountain has to offer is stunning. The hard effort to tackle the mountain will be well worth it once you make it to the top – even better if you can make it in time for sunrise or sunset. 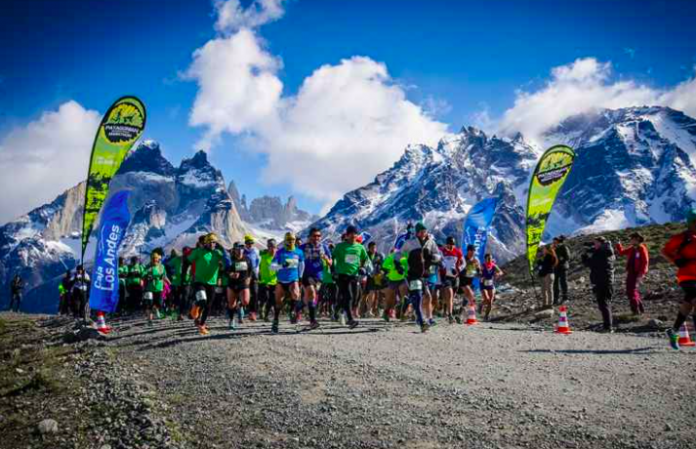 This is the run for any serious ultra marathoner. 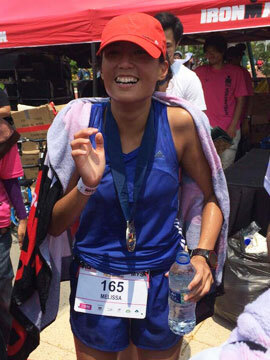 This is the first organised ultra-marathon and is now an annual June event. The route brings you through the coastal lines of South Africa, all 56 miles of it. I must say, what a beauty Fujisan is. While we all know running a marathon is never easy but a magnificent view does help alleviate the pain. It takes our breath away for a moment, and for that one moment, we forget our pain. 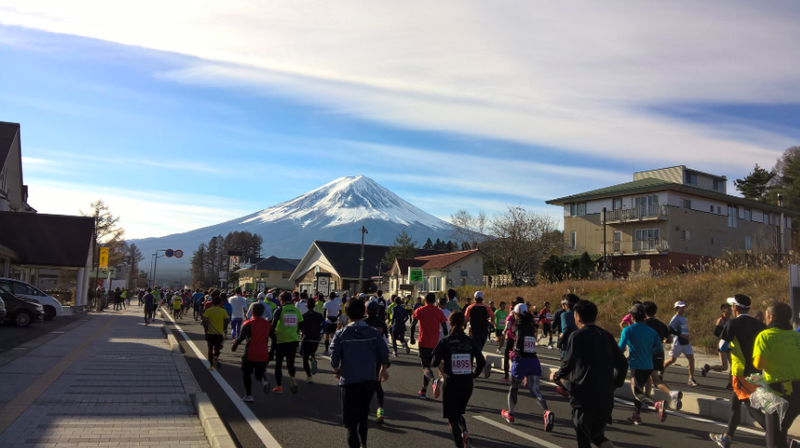 Runners will pass blue lakes and autumnally coloured trees along the route, and how can we forget the beautiful iconic Mount Fuji. 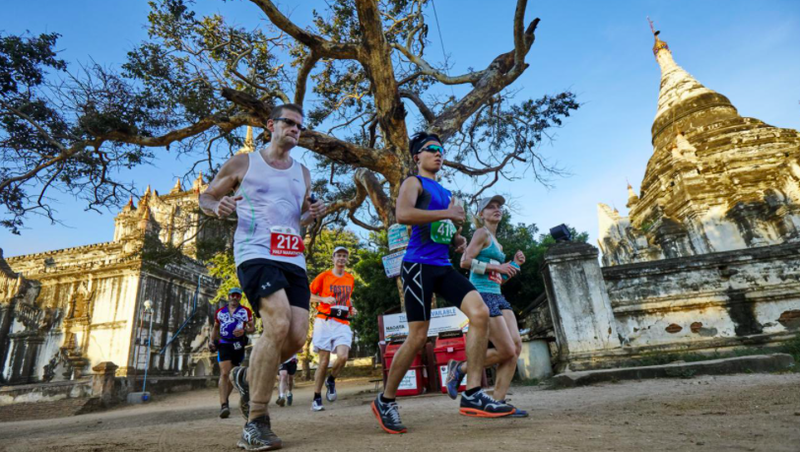 Run through over 2000 ancient temples. It is going to be one epic marathon. The landscape is incredible, the scenery epic, and the course flat. It does bring you back in time and as you run across the dusty plains. 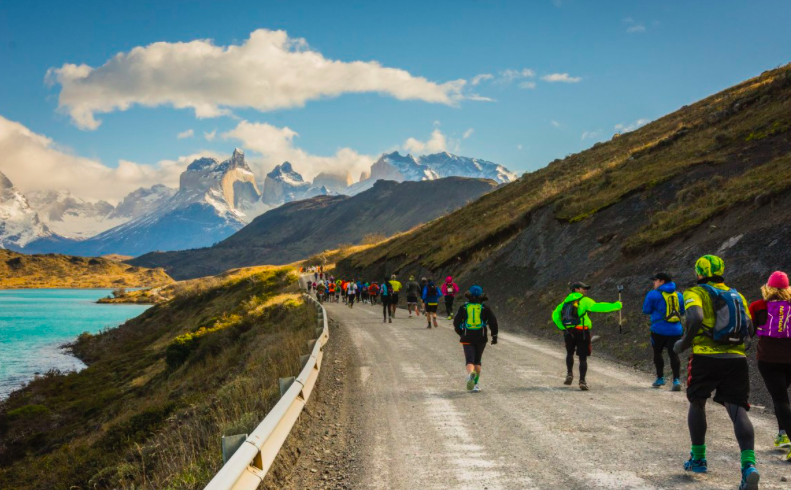 Torres del Paine National Park in Patagonia is home to the Pantagonian International Marathon. This is one of the most beautiful places in the world to run in. And as usual, beautiful doesn’t come easy. Don’t expect the route to be easy! It’s going to be tough, but well worth it in the end. 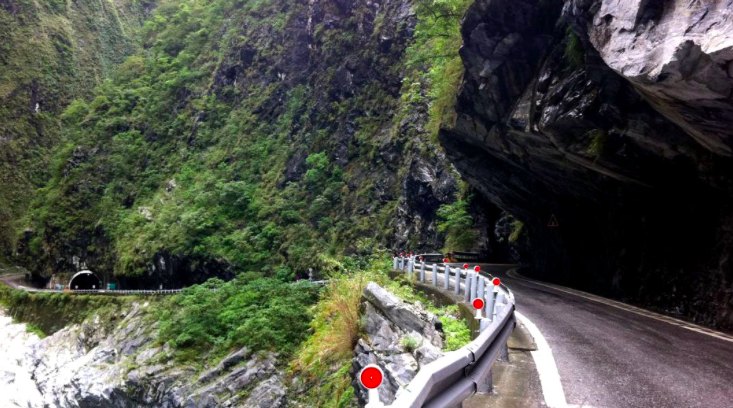 Taroko National Park in Taiwan is home to the Taroko Gorge Marathon. It is known for it’s magnificent views of it’s gorge. Immerse yourself in cliffs and the works of arts by mother nature and be impressed by the world class beauty of this national park – all 42kilometres around it. 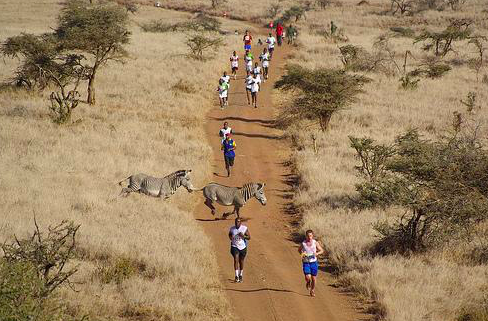 Running alongside the big five – c’mon can it get any better? You are accompanied by zebras, rhinos, giraffes ands lions. Well if you need some reassurance, don’t worry you are well looked after by 3 spotter helicopters and armed rangers as well. Nothing gets you more up close and personal than this experience! 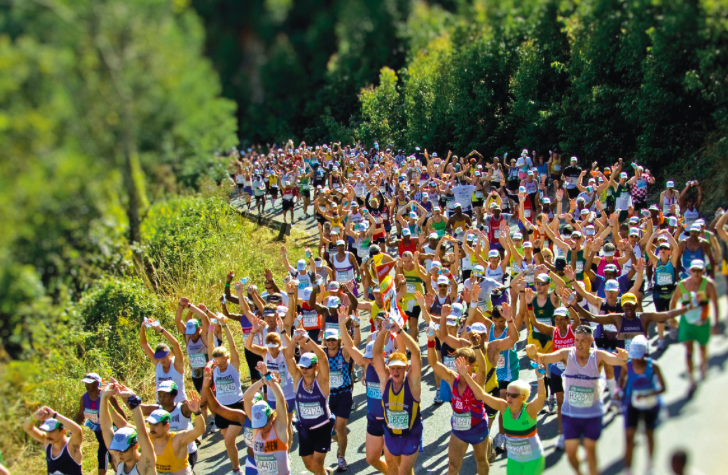 Run through Switzerland, Austria and Germany – all in one marathon! If you’re ticking of countries, I don’t see why this isn’t on your list. Plus the superb views, how can anyone say no? Run your way around the lovely Lake Constance and just be ready to have your breath taken away!